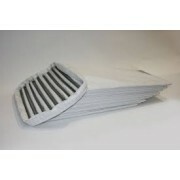 C-Air supplies HVAC filters throughout UK normally with off the shelf next day delivery. We are able to assist with the most stringent of requirements, whilst offering fast lead times teamed with first class technical support, top class customer care and very competitive prices. Call our office now to discuss your filter requirements. Our experts are on hand to deal with your enquires. If your filter is not listed on our website then please call 01706 220373 and we will do our up most to accommodate your requirements. C-Air supplies a large range of fully disposable Filter Panels, including Pleated, glass fiber, and synthetic types. Manufactured in the UK from the high quality filtration materials bonded into water resistant rigid card frames. The panels combine high quality excellent performance and low pressure drops thus less filter changes and energy savings. Our filter panels are available in graded G2 to G4 in the pre-filtration range and F6 to F8 in for the secondary filter stage. C-Air multi-pocket synthetic bag air filter ideal for use in ventilation systems when a moderately high standard of cleanliness & protection is required. It provides low resistance, high dust holding capacities at an economic price. We recommend grade F7 for most commercial applications. Our filter range meets with the new EN779-2012 regulations. 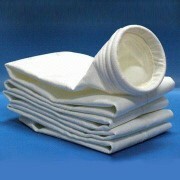 We can also supply glass fiber filter bags upon request. Synthetic media Fancoil Filters utilise a low resistance non-woven polyester filter media that are widely used in air conditioning units, fan coil systems, refrigeration, counters and electronic equipment cabinets, they are also often used to protect heat exchanger coils from dust, fluff etc. Fancoil filters may also be used as a pre filter to protect higher grade filters. We can supply with various other types of filter media, including fly mesh and reticulated polyurethane foam. Media Pads are an economical answer for applications where a high level of filter replacement is anticipated, or when replacement pads need to be installed in existing systems. Typical uses are in food or catering applications, and this provides fantastic value in terms of longevity and cost. We can supply Glass Fiber pads, as well as Polyurethane Foam pads and sheets along with synthetic filter Medias from G2-F5. Reloadable Pad Frames are ideal for use in reducing filter costs where a disposable panel filter is normally used. The frames hold a pad of filter media i.e. Glass-fiber or synthetic, or in washable media such as reticulated foam. This system removes the need to dispose of the whole filter when just the filter pad needs to be disposed of. We can also supply front and side withdrawal frames to hold both bag and panel filters. We have a large selection of types and sizes we can also supply full filter housing units Inc safe change systems. C-Air offers a full range of grease filters designed specifically for the needs of the catering industry. Along with grease filter cleaning baths we also offer a full de greasing service along with ductwork cleaning. We stock a full range of sizes or we can manufacture to your requirements. The Mesh Grease Filter range has been designed to efficiently remove grease and cooking oils from exhaust air in catering applications. The filter constructed for long life. The Baffle Grease filter clever design of interlocking baffles that provide route for the passage of air through the filter by creating two 180º air direction changes simultaneously. The vertical Stainless Steel vanes are housed in a channel frame with each of the baffles aligned to provide efficient grease removal. The Fire Safety Order requires owners and managers of buildings to ensure the Grease Extract Ventilation System is included in the Fire Risk Assessment and action taken to eliminate any potential risk to building occupants from potentially fire hazardous grease deposits in the ducting. C-Air offer a full duct cleaning service to comply with all legal requirements. Our range includes Deep Pleated HEPAs, Laminar Minipleat and Ultra High Capacity HEPAs. The DPH HEPA Filter provides the solution to the requirement for low replacement cost HEPA Filtration using conventional construction methods. The product is suitable for use in turbulent HEPA filtration applications. The timber version is fully incinerable, and particularly suited for specification where this form of disposal of the spent hepa air filter is anticipated, such as hospital, bacteriological, toxicological etc. The Laminar Mini-pleat system is the modern solution to the most stringent of air filter requirements, capable of delivering air for either turbulent or laminar flow conditions according to efficiency. This product is used throughout many industries in applications where the performance of the air filter is critical. Designed specifically for use in high efficiency high velocity applications, the UHV High Capacity Hepa filter delivers ultra clean air for use in numerous applications including hospitals, laboratory & bio-hazard applications, process protection in micro-electronics, pharmaceutical, food etc. This product delivers vast volumes of air at ultra-high quality but at low resistance and easily provides the solution to the most stringent requirements. This product may also be used to retrofit conventional Hepa Filtration whilst reducing fan resistance or increasing air delivery. Carbon filters normally used to remove nasty or unpleasant or sometimes dangerous odor and gases... Activated carbon is used in many applications, ranging from maintaining cleanliness in commercial kitchens, to remove paint fume and even chemical warfare protection in fighting vehicles. We have many different types from discarbs to bonded carbon panels. Call the office today to discuss the many variations that may be suited to your application. Carbon Impregnated Air Filter Media comprises carbon impregnated non-woven polyester fiber filter mats. The media is highly resilient and easy to cut to size to be loaded into frames or panels. Bonded Carbon activated carbon in its loose form can present problems as there is a tendency for the granules to abrade one another. This causes both settlement of the carbon, creating potential bypass voids, and produces carbon dust that can be re-entrained into the air-stream. The unique bonding method in our Bonded Panels removes these problems by producing a solid biscuit of high quality dimensional stability that produces an even resistance. Pleated Carbon Panels The CA Carbon pleat panel filter is a cost effective solution to removing molecular contamination at levels of less than one particle per million. It has low resistance to air with uniform dispersion of carbon throughout the media. The filter is fully incinerable. Fan belts for all applications are available from our large stock. We supply many types and sizes. Please call for more information on our fan belt range.